This tour departs from Central Amsterdam at 9.30 am and returns at 21.00 (approx.). This tour departs daily throughout the year. We are comparing Bruges Day Trip from Amsterdam Prices from leading ticket suppliers and Try to find you Cheap tickets prices on the market. Settle into your seat on a comfortable coach and enjoy stunning views of Dutch countryside as you travel approximately 3.5, crossing the Belgian border and arriving at the quaint port city of Bruges. Known for its tradition of pillow lace making, historical building and churches, as well as its production of delicious Belgian chocolates. Upon arrival your guide will show you through the city centre, pointing out important landmarks such as the Church of Our Lady, Burg Square City Hall and St Salvator Cathedral. You'll then be free to visit the Groeningemuseum, the white houses that are looked after by the Benedictine nuns. Or, wander through the cobblestone streets, eat lunch and stroll the canals at your own speed. After approximately 5 hours in Bruges you'll return to Amsterdam by coach, where you can take a complimentary 1 hour Canal Cruise to the historical centre. A fun full-day trip for people who would like to see the quaint harbour city of Burges. This is a good option for visitors who enjoy travelling by coach. A convenient trip for travellers on short vacations. Your Experience With Bruges Day Trip from Amsterdam? Learn about the history, society and arts with your onboard tour guide. Explore Holland's ‘Venice of the North' with a walking tour and free time. Take a free 1 hour Canal Cruise of Amsterdam at any time during your stay. What Bruges Day Trip from Amsterdam Includes? An English speaking, professional guide. Transport on a comfortable and air-conditioned coach. Free 1 hour Amsterdam Canal Cruise. Central Amsterdam – drive to Burges – walking tour and free time – return to Central Amsterdam. Bruges can be very busy during the summer time so we recommend visiting in the spring or autumn. Travelers Reviews about Bruges Day Trip from Amsterdam? Overall travellers agree that this is a brilliant day trip. 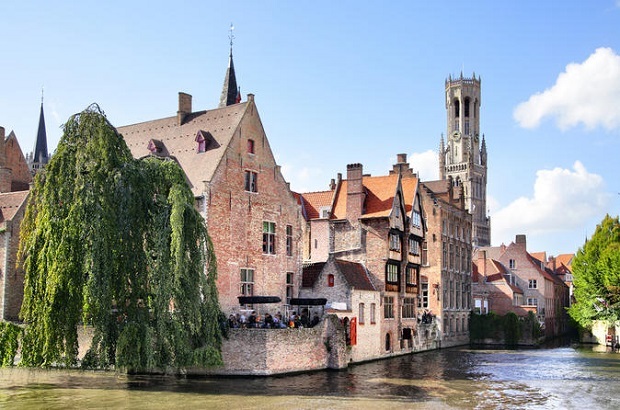 Although the drive to Bruges is quite long the city itself is not too big therefore travellers have said that the tour allows enough time to see all of the sights. Reviews frequently talk about excellent bilingual tour guides. The tour has a 4-star rating on TripAdvisor and Get Your Guide and 4.2 out of 5-stars on Get Your Guide. Coaches are wheelchair accessible but wheelchair user should be accompanied. Cancellation should be made at least 7 days in advance to avoid fees. Children under 3 are free (if sharing seat with parent). Please arrive at meeting point 30 minutes before departure time.